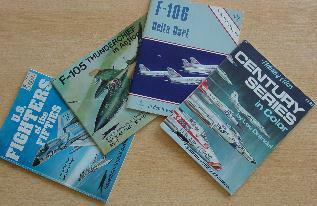 The F-105 was, although having a "F" designation, developed by Republic Aircraft as a strike "fighter"/bomber. It was a product from the Cold war, being able to carry a single nuclear bomb also. It first flew in 1955, being produced in substantial numbers later on. 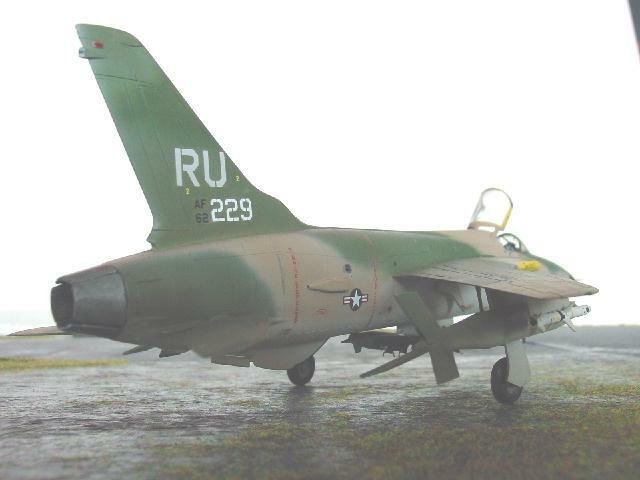 It was later on deployed in the strike role in Vietnam and was a very powerfull aircraft, loved by its pilots. 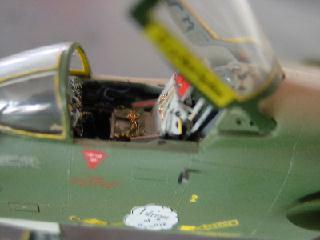 The model is from Hasegawa, kit no. js-014, being a very old kit and of rather simple design with no details. The model can be made into a nice representation after some refining and detailling being accurate in baseline. I added a new seat and cockpit, with scraps of plastic and card. The canopy was set open with a razorsaw used to cut of the windshield. 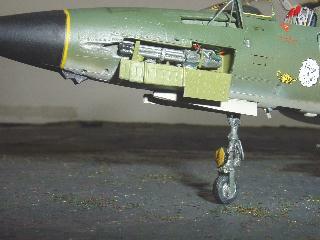 The wheel bays were made and undercarriages were detailled and the gunbay opened. A refuelling probe was added from strip and tubing. Also tailhook was added and the exhaust pipe cut open to represent "feathers". Finally, I added a MER below the fuselage and a Shrike missile which came from a Hasegawa weapons set. 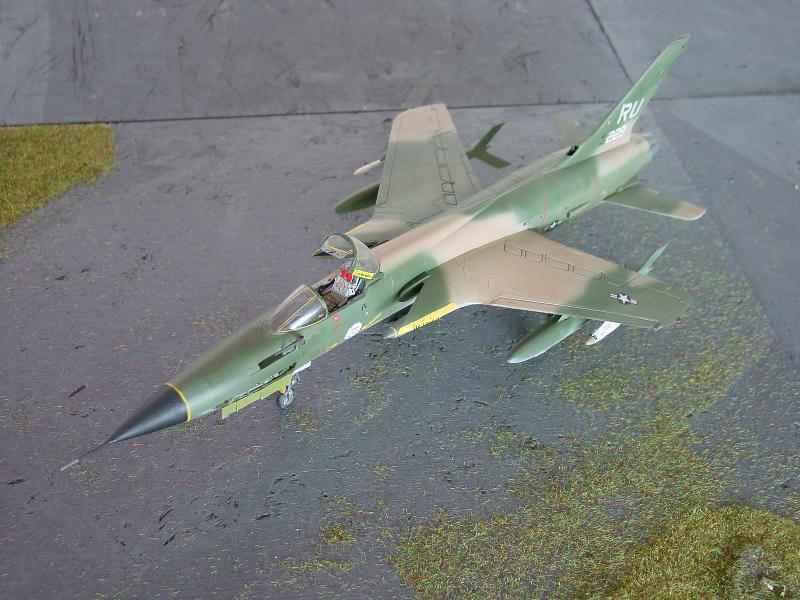 Decals came from Modeldecal set 10, representing a F-105D of 357 TFS, 355 TFW based on Takhli AFB, Thailand and deployed in Vietnam. Camo scheme is standard USAF of the period of Fed. Std 34102, 34079, 30219, 36622. - Air international, Volume 30. pages 185..
Back to American Century series..